Commercial Building Lot with 4+ Acres! Schedule a Showing/Request InfoSearch Lake Area Condos for SaleWaterfront Homes for SaleSearch All Homes For SaleWhat is Your Home Worth?Mortgage & Refinance Fran Campbell JohnsonRE/MAX Lake of the Ozarks573-302-2390Questions? Another day of snow in the Mid-west means another day out of school for the kiddos!! 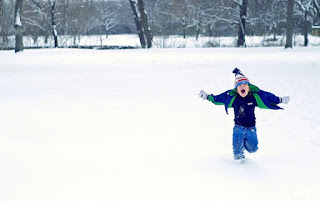 Although everyone enjoys sleeping in on a snow day, what in the world do you do with your kids once they wake up?? We thought it would be a good idea to share some ideas on how to entertain your kids! Here are the top ideas from the Fran Campbell Team to inspire your creativity. Only $79,000! Summer Fun Awaits! After weeks and months of planning, it is time to take a plunge in the chilly waters of Lake of the Ozarks!! If you haven't been to the Lake of the Ozark Polar Bear Plunge, be sure to join the fun this Saturday February 23rd at the Lake of the Ozarks Public Beach #2!! You may wonder, what could possess someone to jump in the frigid Lake of the Ozarks Waters in February? 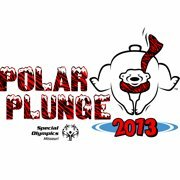 The brave souls of the Polar Bear Plunge jump into the waters to raise money for the Special Olympics Missouri. Each participant collects donations and pledges as they commit to plunge into the icy waters. The event has brought more than 600 plungers and raised more than $200,000. Many of the participants and teams will dress in costumes for the event and costumes are encouraged by event organizers. If you don't think you can commit to plunge, be sure to come out and cheer them on as theyy walk, run, crawl, dive and plunge into the waters of the Lake of the Ozarks. 4 Reasons to Buy Real Estate Now!! In recent years, the Real Estate market has caused many people to hesitate to buy a home - however, all signs indicate that the market is recovering and that NOW is the time to buy. Here are just a few great reasons to consider buying your home now. Impressive Lake Home at Great Price!